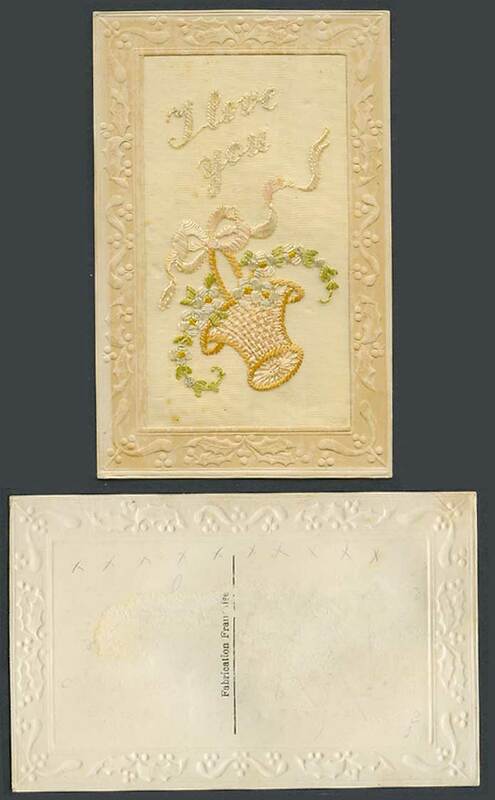 Vintage French Greeting Embossed Old Postcard from the First World War British soldier in Europe, WW1 Silk Embroidered. Novelty Greetings. I Love You, Flowers Basket with Knot.